Back in my university days, my idea of a good beer was whatever was cheapest! (Who wants to share a pitcher??!!) Although I can still be quite frugal when it comes to my choice of alcoholic beverage, I've come to appreciate what Ottawa has to offer in terms of beer selection. Due to the plethora of beer choices available in Ottawa - I decided to focus solely on the breweries in this post. A much anticipated addition to Ottawa's brewery scene is Mill St. Brewery at Lebreton Flats opening January 27th. Most of us who have frequented Ottawa's Bluesfest are familiar with Mill Street's selection of beer. Mill Street's Tankhouse Ale is a popular brew and I really enjoy their Lemon Tea Beer on a hot day. I'm definitely looking forward to trying the new brews that they've put together for the Ottawa location!! 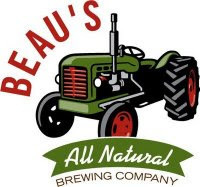 Outside of Ottawa city limits (in Vankleek Hill) is Beau's All Natural Brewing Company. A surefire good time is had every October for their annual Oktoberfest celebration! This past October I attended and got the chance to try a selection of what Beau's has to offer. 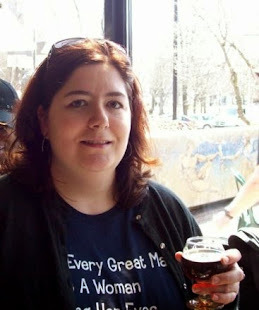 I am a big fan of their flagship Lugtread beer - which is on tap at many of Ottawa's establishments. Beau's products can also be purchased at the LCBO and - get ready for this - they've just launched a HOME DELIVERY service!!! So you can now order beer from the comfort of your home. The delivery fee goes to Operation Come Home, a non-profit organization dedicated to assisting street youth. That concludes my list of brewery's in the Ottawa region! If I missed any let me know and I encourage everyone to help support our local businesses by raising a pint or purchasing a keg or Growler from one of the fine establishments listed. Amazing! The owners of Patty's and Quinn's also have a pub out in Ashton that I hear is wonderful. They have started brewing their own beer called Ashton Ale and its available by the pint at local establishments such as Patty's Pub on Bank and the Murray Street Restaurant.